We also carry these in red and blue. 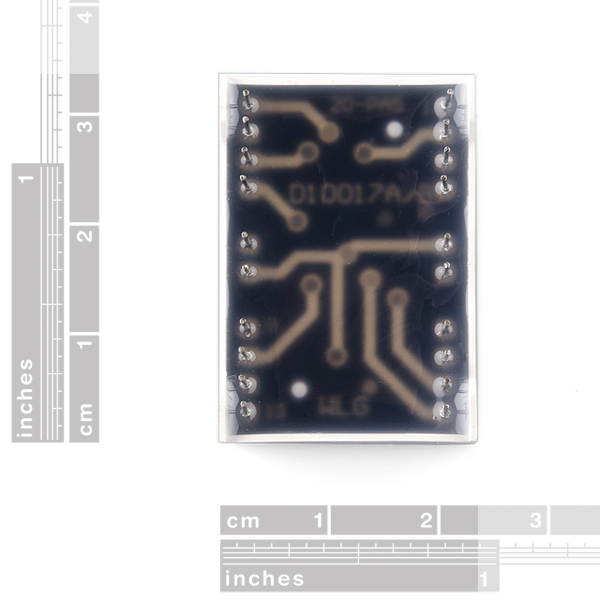 Be aware that the larger segments on these have 2 LEDs while the smaller ones only have one. It doesn't make a visual difference, but it's something to be aware of when designing your circuit. So, let's say you're making a nice big clock for your dorm room, with 10 of these in green, and 10 in red. Protip: no matter how highly you think of your ninja-like organization, you will mix them up: TEST THE COLOR OF EACH ONE before you solder it down to the breadboard. Saving yourself the anger when the 3rd display from the right on the red row is green instead of red is worth digging out a few test leads, learn from my fail. All butterfingers aside, these are pretty cool, nice and bright. Like dcormier said, the large segments have two LED's, but a quick trip to a datasheet and an LED resistor calculator can take care of that pretty easily. 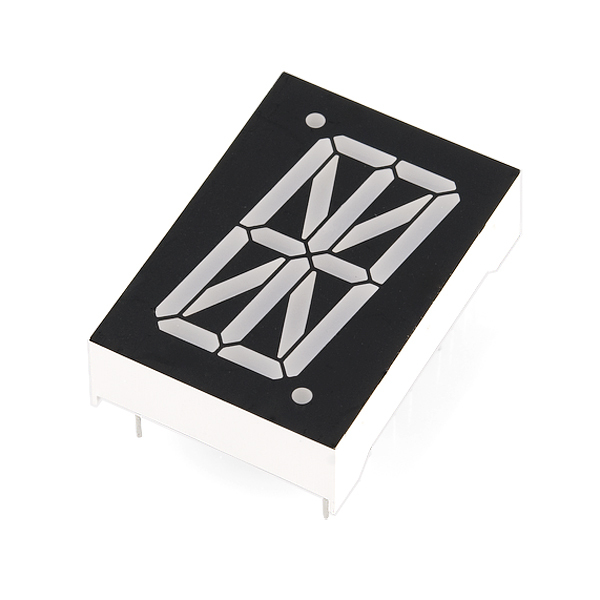 Maybe it's a problem with my computer, but clicking the datasheet link results in a 2 page PDF with a logo that looks like a transistor symbol on the top left corner of each page. And nothing else. Could you check it out and, assuming it's not just my computer, fix it? Looks ok here. Try right-clicking and 'save-as' on the file and see if you can open it up locally. Thanks, it worked fine now. It was just that I didn't have Chinese fonts installed. Ah, yea, that always gets me every time they update my computer at work. Glad you were able to get it! hey! 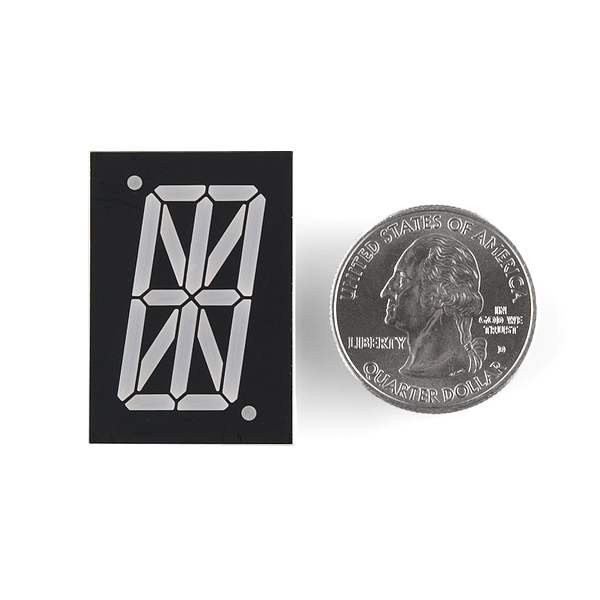 will these physically line up with the 4-digit 7-segment display? https://www.sparkfun.com/products/11407 THAT WOUDL BE GREAT. Second, just to be picky, is the green a similar color? No idea about the color, but dimensions-wise: nope. 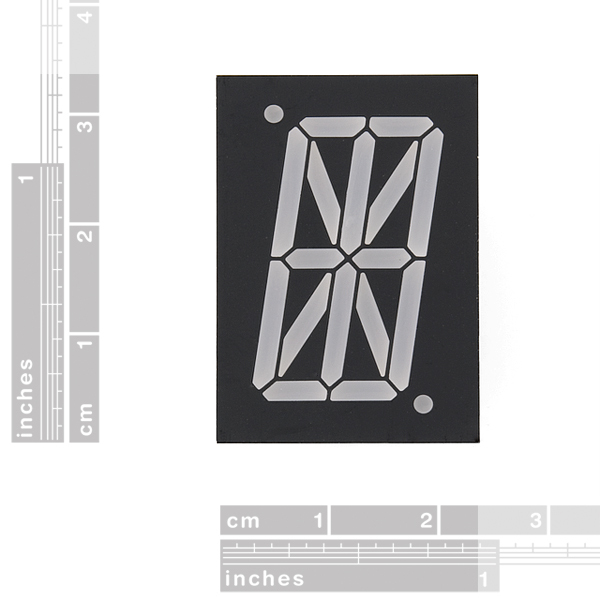 The digit height for these is 25.4mm (1.0"). The digit height for COM-11407 and others in its family is 20.4mm (0.8"). Digit width for these is 13mm, for the other it's 11mm. They do have the same slant and segment width is only 0.05mm off, so if you don't mind the differing sizes, and possibly different colors, at least those match. oh no! my life is RUINED! lol. Thanks for mentioning the SN74LV8153. I'm familiar with many chips for driving LEDs, but hadn't noticed that one. Nice that it supports output up to 12 V, handy for some of these larger digits that have two LEDs in series for the segments. And not pricey like the Maxim parts. Yeah, bang-for-buck the multi-digit displays are probably unbeatable :) Plus the wiring is a lot simpler. Alignment shouldn't be an issue with single displays, although admittedly this product does not seem to have the alignment slots some other character displays do. But usually they're stuck behind a little window anyway, so that 0.5mm off that is an eyesore when you can see the packages is something you'd only spot if you'd look for it. 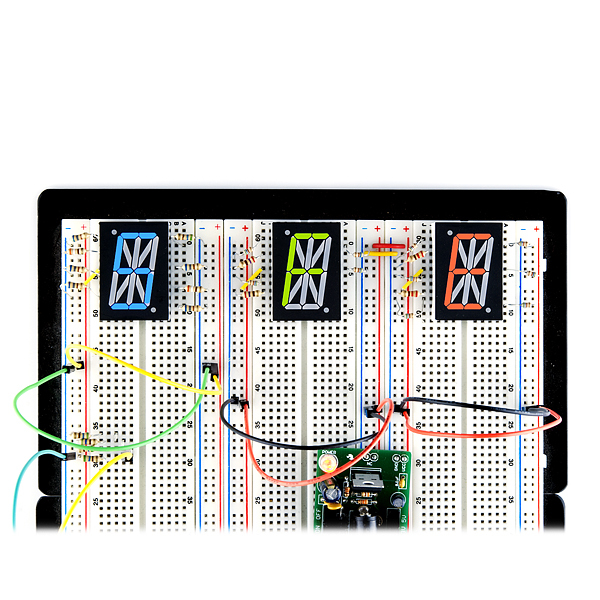 Any good tutorials out there for this Alphanumeric Display? Data sheet link results in an error message?